You needn’t mourn the lower-Manhattan art scene, all but gentrified out of existence. Today’s Cedar Taverns are just a subway line (or two) away from the major downtown galleries, in areas where lofts are still cheap and artists have room to make a big, experimental mess. 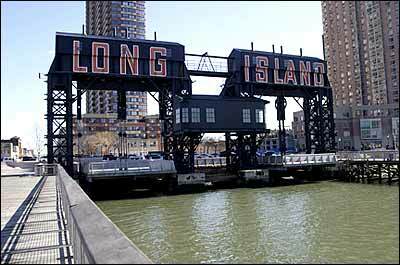 Though the emerging talents of “Greater New York” come from all over the tri-state area, the heat in this intense market is radiating from several concentrations of future stars, located in established art enclaves like Williamsburg and Long Island City as well as new ones like Harlem and outer Brooklyn. Watch these spaces for things to come. 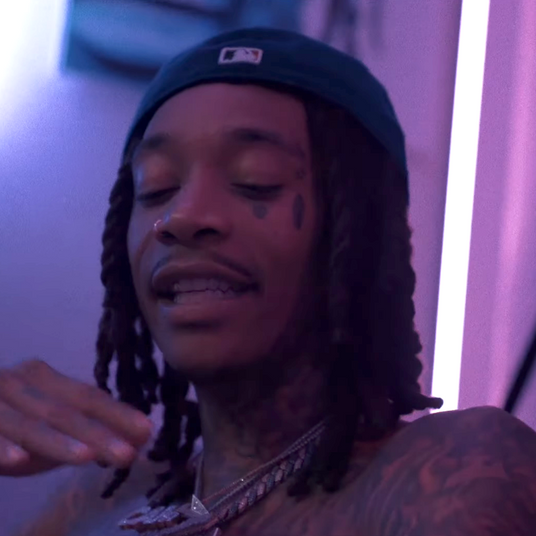 Who’s there: Former Columbia M.F.A. students Dana Schutz, Mika Rottenberg, Ryan Johnson, Laleh Khorramian, and current student Dasha Shishkin; former Studio Museum in Harlem resident artist Deborah Grant; friends eager to maintain a sense of community and escape rising Williamsburg rents. Connections: Painter Dana Schutz and sculptor Ryan Johnson are a couple who work out of a building across from Fairway, at 2331 Twelfth Avenue. Rottenberg and conceptual video artist Aaron Young (also a couple) share a building with Khorramian at 128th and Amsterdam, and Grant and others work two blocks over, at 129th and Broadway. “We all stayed uptown to be together,” says Khorramian. 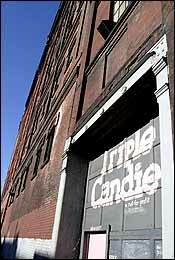 Galleries: Triple Candie (pictured) “is wonderful about showing people in the area,” says Schutz. And the Studio Museum in Harlem.Artistic Vibe:Wry humor. Young staged a photo of the Yale soccer team spitting blue Gatorade into parabolic arcs; Schutz invented a lonely beach bum as the central figure in a cycle of paintings; Grant scavenges comic books and pop culture for her ink drawings. Atmophere: More bodegas and café con leches than French cafés. Socializing starts (and often ends) in the three studio buildings. Who’s there: Video artist and painter Derrick Adams, sculptor and photographer Adia Millett, painter Mickalene Thomas, sculptor Matthew Day Jackson; former Pratt students; artists looking to exchange views of truck routes for trees. Connections: Millett is friends with Thomas and Adams, who both went to Pratt and have studios next to each other in Clinton Hill, where artist Luis Gispert also works; Jackson and Adams were at Skowhegan together in Maine. Hangouts: Restaurant row (Chez Oskar, Madiba, Liquors) on DeKalb Avenue in Fort Greene; Tillie’s coffee shop. “Tillie’s is a place of comfort,” says Thomas, who regularly chats up the owner. “It’s a community spot,” agrees Adams, whom Matt Jackson most recently ran into at Freddy’s, a bar on Dean Street whose owner is known for showing arty videos. 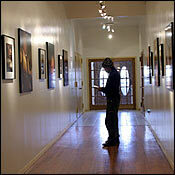 Galleries: On Grand Avenue, Danny Simmons’s Corridor Gallery (pictured) shows almost-outsider art. Artistic Vibe: Multidisciplinary, multicultural explorations of community, identity, and the built environment. Millett’s detailed models of people’s homes are inspired by wood-paneled apartment buildings and prefab houses depicted in the Grand Theft Auto video game, while Jackson’s wooden constructions meld American Indian and Viking styles. Atmophere: Diverse, adult, historic. “It’s a professional community—like a home away from home,” says Thomas. Who’s there: Min Kim, Ian Burns, Wardell Milan, Christian Holstad; the individualists who began trickling out here several years back, looking for big industrial spaces and midtown access via the 7 train. Connections: Quiet folks seeking quiet, the artists here tend to socialize elsewhere or at home. Holstad’s assistant, Heidi Hilker, has her own studio next door. Hangouts: Ten63 café at 1063 Jackson Avenue for brunch, the piers of Gantry Plaza State Park by the East River (pictured) for sunlight, Lounge 47 on Vernon for post-opening drinks. Galleries: Nonprofits—Socrates Sculpture Park, the Sculpture Center, P.S. 1—spread among the garages and factories. Artistic Vibe: Sprawling, homespun installations or carefully ornate drawings. Burns, who uses found materials in his sculptures, has discovered a new category of trash since moving from midtown: “There are a lot of sweatshops around, and garbage bags full of shoulder pads,” he says. Atmophere: Industrial wasteland, interrupted by residential pockets like Vernon Boulevard. “The neighborhood comes to life at four in the morning,” says Burns. That’s the busy time across from his studio, at the car wash that houses a mosque that houses a vendor-cart business. Who’s there: Video artist Guy Ben-Ner, painter Kamrooz Aram (who lives in Clinton Hill), conceptual artist Tobias Putrih (who lives in the East Village but works here), Sean Bluechel; Jules de Balincourt (Greenpoint studio); artists searching for the Williamsburg rents and square-footage of ten years ago. Connections: Few and far between. People tend to move there for the space, not the social life. 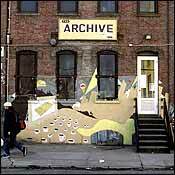 Hangouts: In Bushwick, the only options are the Archive (pictured), a nine-month-old café and video store off the Morgan Avenue L-train stop, and your choice of Mexican bodegas. In Greenpoint: the Pencil Factory or its more daylight-friendly sibling down Franklin Street, the Greenpoint Coffee House, and a divey bar called the Lyric Lounge. Enid’s, near McGarren Park, for brunch. Galleries: None to speak of. Yet. Artistic Vibe: Quirky, conceptual, slightly do-it-yourself, typified by Guy Ben-Ner’s epic “home movies”; Putrih’s handmade objects referencing architectural models and his geometrical drawings; and De Balincourt’s low-key inverted maps and homemade treehouse. Atmophere: “Quite boring,” says Putrih. “I like it. It gives you a strange feeling to live among all those engines and trucks.” “Not spoiled,” adds Ben-Ner. Still, the neighborhood is getting less rough and desolate: The floor below Aram’s studio has been transformed in the past year from grim manufacturing space into a dozen studios. Polish Greenpoint retains its passion for pierogi and the mother tongue. “It’s a more conservative and proletarian and religious community, outside my art bubble,” says De Balincourt. Who’s there: Installation artists and sculptors Justin Lowe, Courtney Smith, Peter Caine, Mike Bouchet, David Opdyke, Jamie Isenstein; photographer Jen DeNike; other artists subletting sublets of sublets; leftover nineties pioneers. Generally a more established community; a little older, a little richer. Connections: Openings at Roebling Hall, where Smith and Opdyke show, spill out the door, no matter who’s showing. Such events are “a sizable chunk of my outside social life,” says Smith. Gallerists Christian Viveros-Faune and Joel Beck show art by Joe Amrhein, who owns the gallery Pierogi (pictured), which opened in 1994. Hangouts: The tiny, eclectic Diner and the beer-and-oyster joint Marlowe and Sons, both near the Williamsburg Bridge. Later-drinks spots include the nearby Southside Lounge or Supreme Trading on North 8th. One L-stop farther out (Lorimer Street), Hope and Union is the café of choice. Galleries: Pierogi and Roebling Hall are the stalwarts; Momenta, Parker’s Box, Schroeder Romero, and Plus Ultra have provided many first breaks. 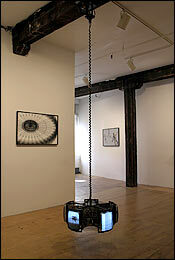 Artistic Vibe: Found-object installations, politically charged sculptures, whimsical personal photos. Lowe’s installation last spring at P.S. 1 incorporated a van he bought for $75 at the police auction yard on Kent. You want a Mehretu? A Hirst? A Koons Fat chance. A much-watched lawsuit is exposing the painful truth of this overheated market: It takes more than money to buy a hot piece of art. The ten most likely to succeed from the “Greater New York”show.